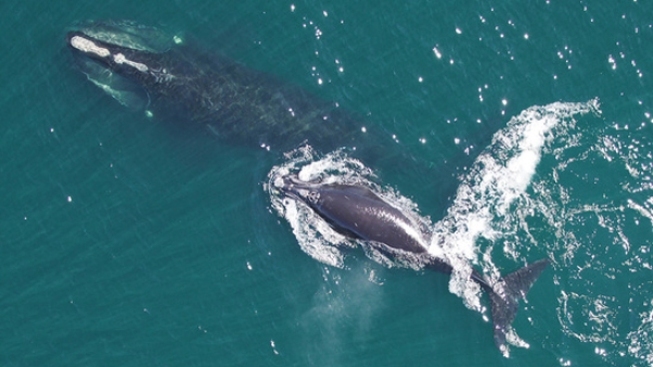 This undated file photo shows a North Atlantic right whale mother and calf as seen from a research drone. The federal government is asking mariners to slow down off of Massachusetts to help protect a severely endangered species of large whale. The National Oceanic and Atmospheric Administration says it's applying the voluntary vessel speed restriction zone in an area 21 nautical miles south of Nantucket. The designation is intended to protect a group of four North Atlantic right whales seen in the area on Sunday.